Hello, Dobyns-Taylor Warehouse. In some places on the current building, the old sign is beginning to show through. This is a T. J. Stephenson postcard. A Tichenor printing, plate 12140. 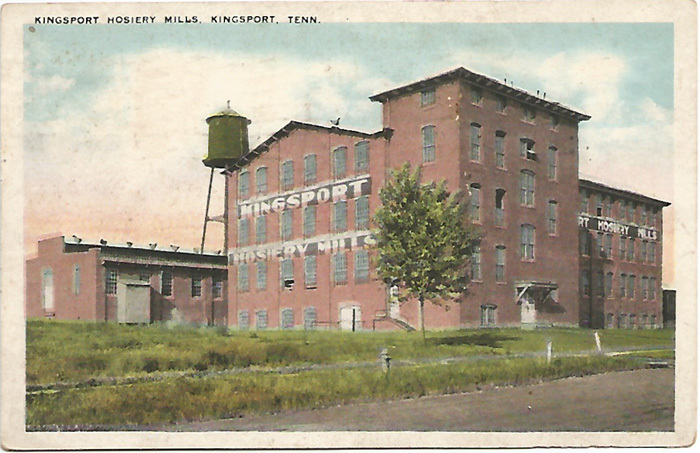 It’s postmarked on the back: Kingsport Tenn. July 11 3-pm 1935. 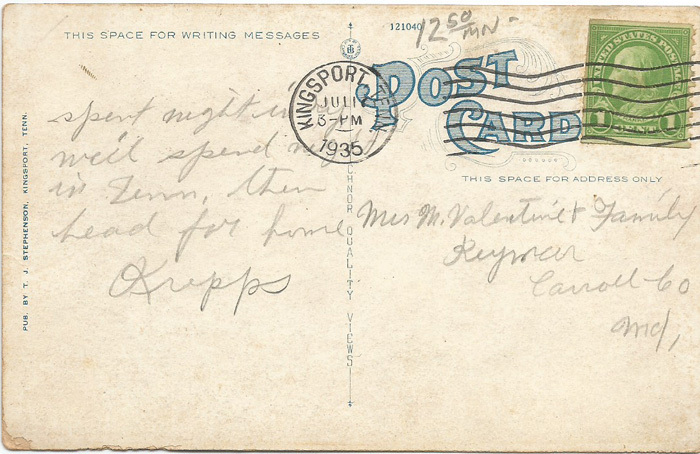 Addressed to: Mrs. M. Valentine & Family Keymar Carroll (?) 6 (?) 0 Md. The card was published in the late 20s. This entry was posted in Bob's photos, Kingsport TN ephemera and tagged Dobyns-Talor Warehouse, Keymar MD, Kingsport TN, T.J. Stephenson, Tichenor on October 20, 2014 by Bob Lawrence. Hi Bob. I believe the address on the card’s back is Carroll County Maryland.